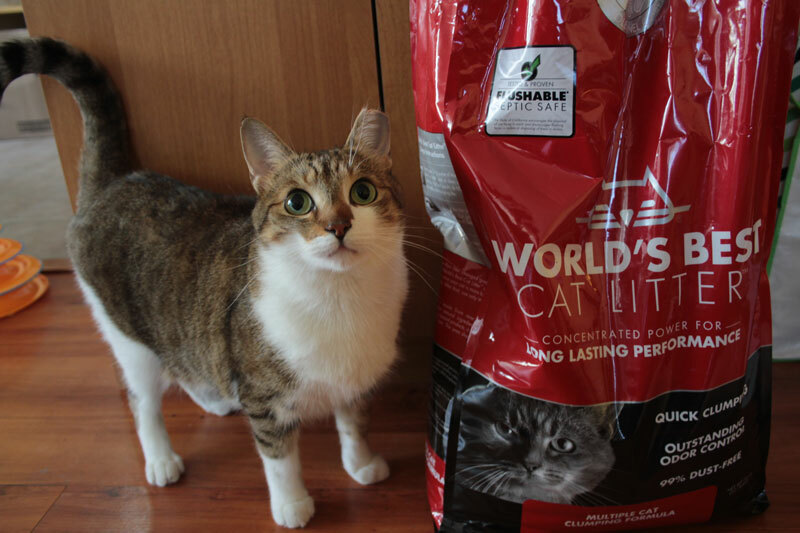 It’s time for another review of a litter we’re actually pretty fond of! 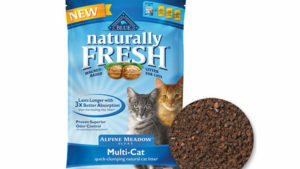 As mentioned in a previous review the litter’s we’ve tried to date are Odor Destroyer, Yesterday’s News Unscented, Naturally Fresh Multi-Cat, Naturally Fresh Single-Cat, World’s Best Cat Litter (Single Cat), Naturally Fresh Herbal Attraction and Naturally Fresh Multi-Cat Alpine Meadow. 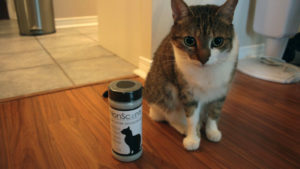 Similar to the single cat, I didn’t notice any dust with this brand, which is super impressive for litter. This is true both when pouring the litter and scooping it. I would say that the multi-cat blend actually clumps better than the single blend if there were such a thing as better clumping! I really can’t complain about world’s best! 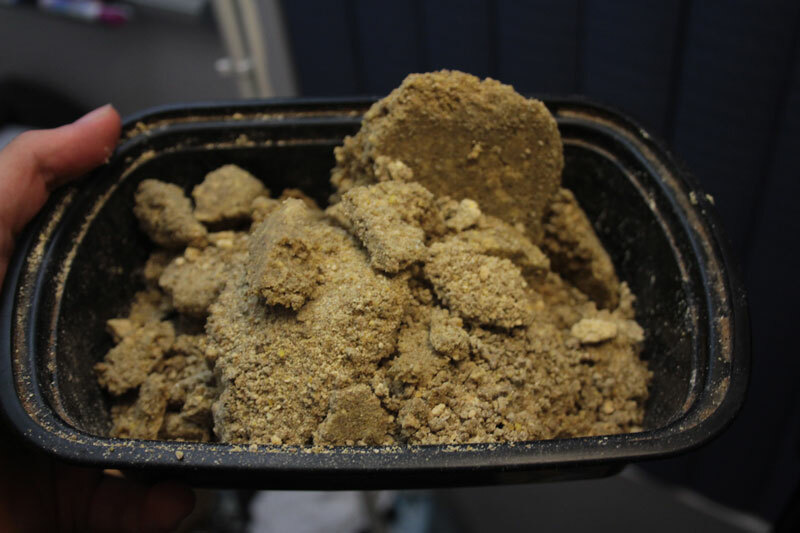 Whatever they did to make their clumping litter… they did it well! I’m still not a big fan of the smell of the actual litter. 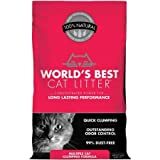 Something about corn bothers me, but I will say that multi-cat does cover the smell of faeces and urine much better than single-cat, making this my top brand choice to this day! I will say, with Beau being a lot more energetic these days litter does pop out of the pan more frequently. It’s not too bad and doesn’t really travel far. (Without a mat), when we placed a mat all of the litter stayed on the mat for a very easy vacuum clean. I am more than satisfied with this litter! Even though this review is much shorter than most of the others I’ve done, I have to say it’s because there isn’t much to complain about! I think we found a solid litter to use. 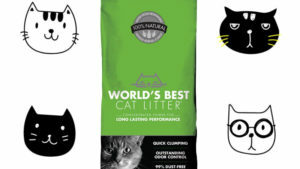 We are however going to try Swheat Scoop next since it is quite a bit cheaper than World’s Best, but other than price… World’s Best Cat Litter (Multi-Cat) gets a solid 5/5 from me! I’m glad we found a litter we can rely on, and hopefully, that won’t change anytime in the future! I’ve been using this brand for the past two years, it is a little pricey but i love the fact that it is flushable i usually scoop the urine in the garbage and only the poop flushed. can’t complain love this brand, also clay litter is not really good for cats to inhale. I just use a local store brand, its pretty good at all things, except the tracking…so I use a large litter grabbing mat…and my vacuum cleaner:) The tracking is less with the top entry boxes I use on account of Pipo’s habit of against the wall/over the side piddling. Glad the local store brand works for you! 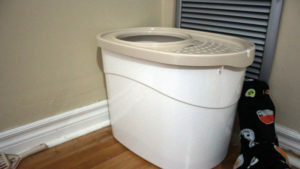 And I’ve really been thinking about getting a top entry litter box, ever since my sister started having great experiences with it! That sounds good.We just use plain cheap clay litter from Walmart. I’m still searching for a better litter. 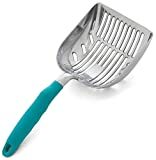 For years, I used the same brand – even though it didn’t clump well. Then I switched brands and got great clumping – but more tracking. I used to be able to vacuum once a month – but no more. We’ve always wanted to try this brand … it sounds like a winner! Absolutely one of the better ones! Which ones have you been using?